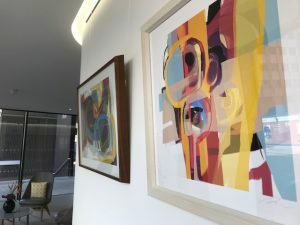 We are delighted to be exhibiting three pieces of artwork by Paul Brown and hope you enjoy the new selection of work now on display on the ground floor reception. Paul is an abstract painter whose canvases are a burst with colour, line and shape. There is an obvious vibrancy within Paul’s work both in colour and movement. His works are full of character with an energy like no other. The artist has showcased his work at various festivals across the UK. 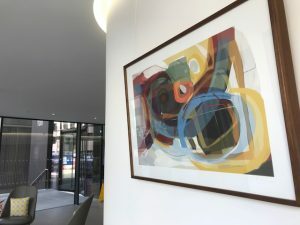 You can catch Pauls work on display at 108 Cannon Street, London EC3 until 20.10.2018. 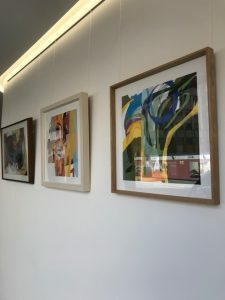 All work on show is available to purchase. For further information or to arrange an appointment to view contact info@artful.org.uk or call 0208 702 8030.